As consumer sentiment wanes and the way people shop continues to change and evolve it's reassuring that some retail traditions are here to stay, they fix us in a time and place. 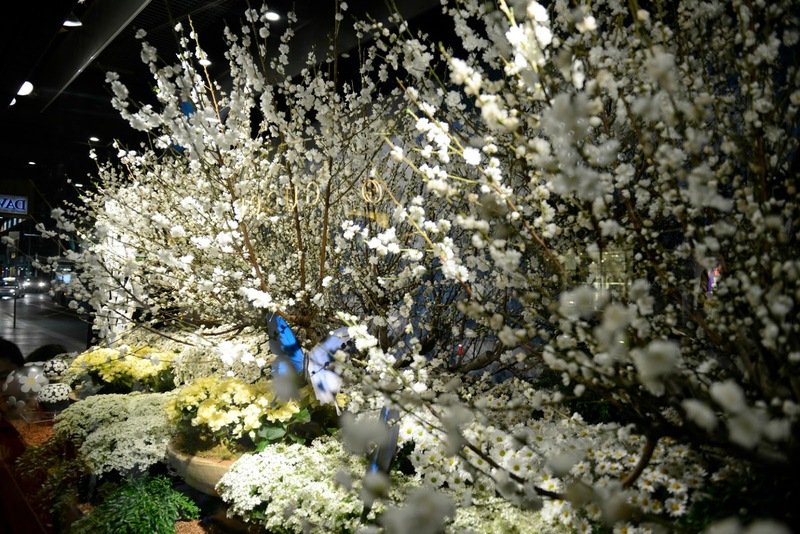 In the Sydney CBD, the annual David Jones Flower Show marks the beginning of Spring. People flock to see the blooms, to see astounding floral creations, as a yearly tradition. This year's show was no exception. With 'Attraction' as its title and theme, the show aimed to explore the sensory drama of sight and smell with displays centered around perfume scents. Inside the store, large multi-dimensional arrangements, popping with colour and vitality were positioned along avenues for instant wow factor. Because of their sheer size, and the amount of stems used to construct the arrangements, it is mind-blowing to think of the cost of such an event. 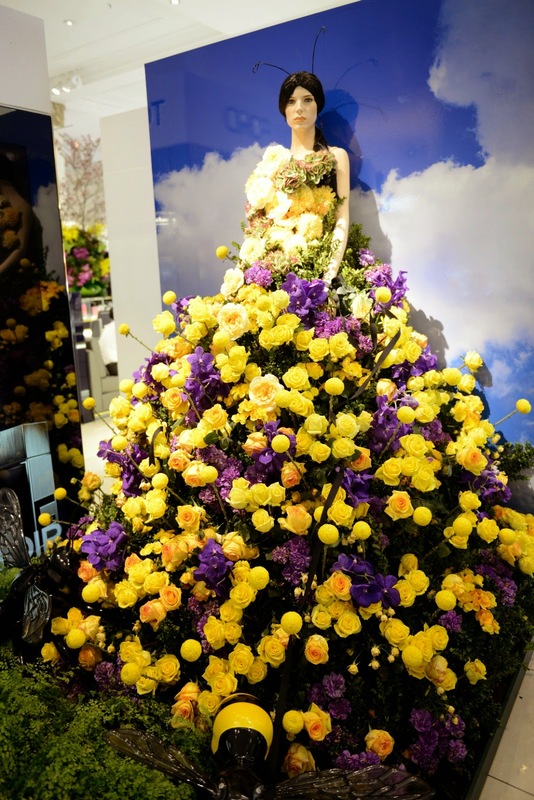 This year the show was made up of over 350,000 live flowers! The bright yellow Chrysanthemum balls really brighten up the sunglasses avenue. And, like last year, there were orchids cascading down the side of more freestyle works. 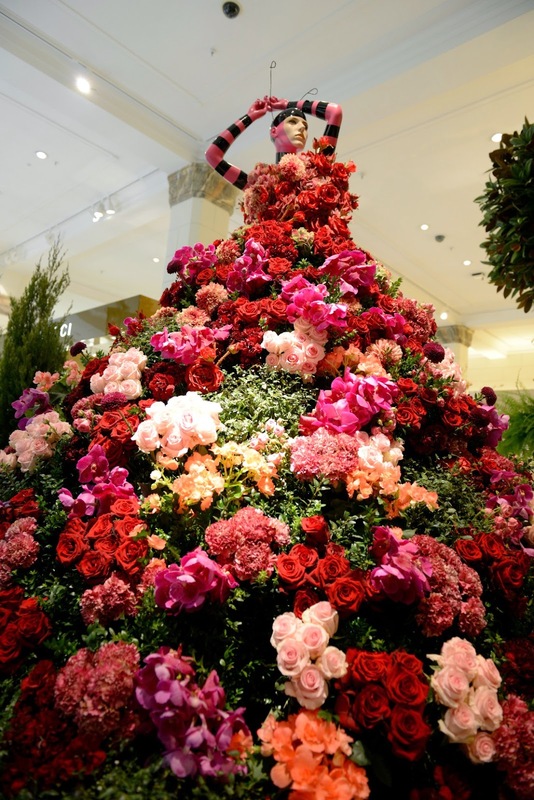 Now in its 29th year, the Flower Show charmed visitors with floral dresses. With hundreds of garden roses, the smell was divine, and captured the imagination like a childhood fairy-tale. As well as inside, the 16 outside windows of David Jones Elizabeth Street store were also filled with flowers. This window with cherry blossoms bursting off the stems in a sea of white. It took 30 designers over 10,000 hours to create the living works of art. 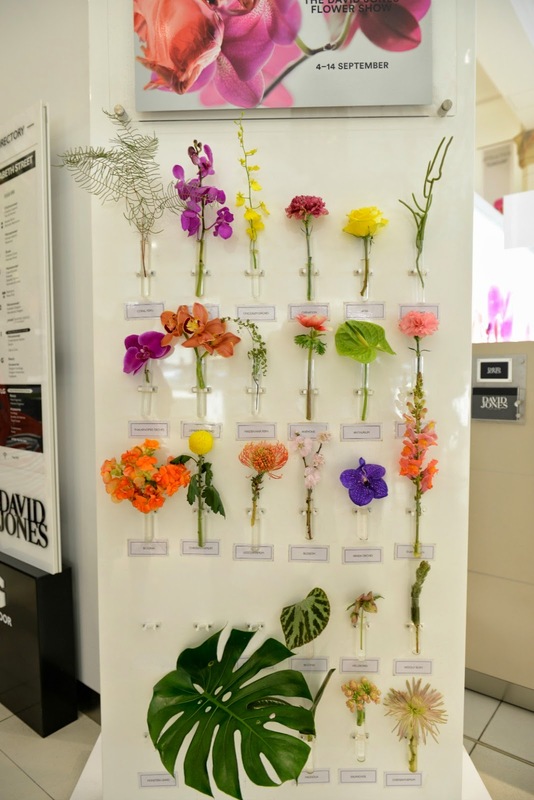 The Flower Show is certainly sensory overload and a very elegant way of stating that David Jones still provides Sydney's up-market shopping experience it has hallmarked itself as in the past.